I have a strong interest on how to fit today’s environment into Tikanga Maori whenever the opportunity arises. This is achieved based on the knowledge and traditions handed down from my elders of Tuhoe and through the up-skilling gained through being tertiary educated at Auckland, Waikato and Massey Universities. I also have a keen interest of ensuring that Te Tiriti o Waitangi is promoted throughout my daily association with the communities that I serve or participate in as it is my opinion this is the foundation document that would drive us as a nation going forward. Strategically my intention is to make as many people aware of the diverse ethnic cultures that make up our population and work towards creating a better understanding of these cultures and how they fit within the parameters of Te Tiriti o Waitangi. My commitment would always focus on my being accountable to the positions of responsibility that I serve in terms of the contractual and fiduciary obligations to te Iwi, ngā Hapū, ngā Marae, ngā Whānau. 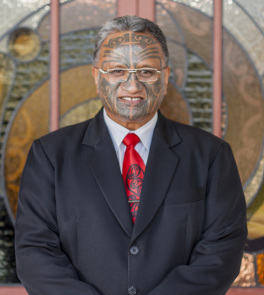 2011-2013 Appointed Justice of the Peace through Auckland District Court. I subscribe to the kaupapa which encourages the notion of people helping people and to make beneficial impacts for the communities that they serve. I firmly believe that everybody has skills and experience from which they make a contribution to the common good. I respect the dignity and values of each person and endeavour to provide services of high quality, which will help everyone to participate in our society.